A hug is the best gift a mother can give to her infant. Baby carriers make it easy to carry babies while traveling or walking. They provide a comfortable way wherein the hip seat provides support and a parent can carry the kid in a hugging position. This keeps the parents’ hands-free so that they can carry out their daily activities with ease. Xiaomi Baby hip seat is an innovative product with comfortable fabric and ergonomic design which is superior for infants as well as parents. 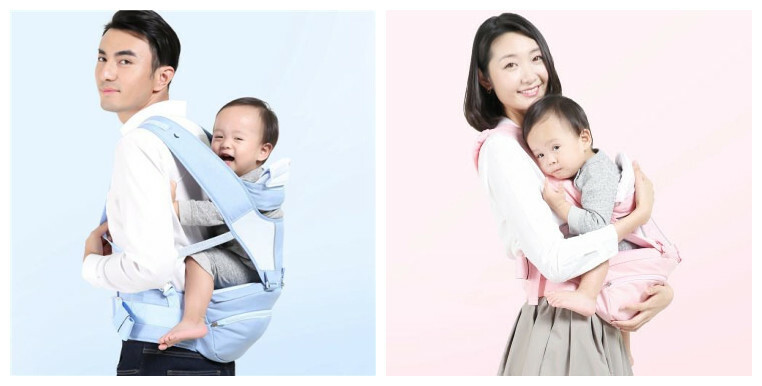 The hip seat from Xiaomi is a multi-functional carrier for infants and it provides a 360 Grau ergonomic protection for the spine of the child. 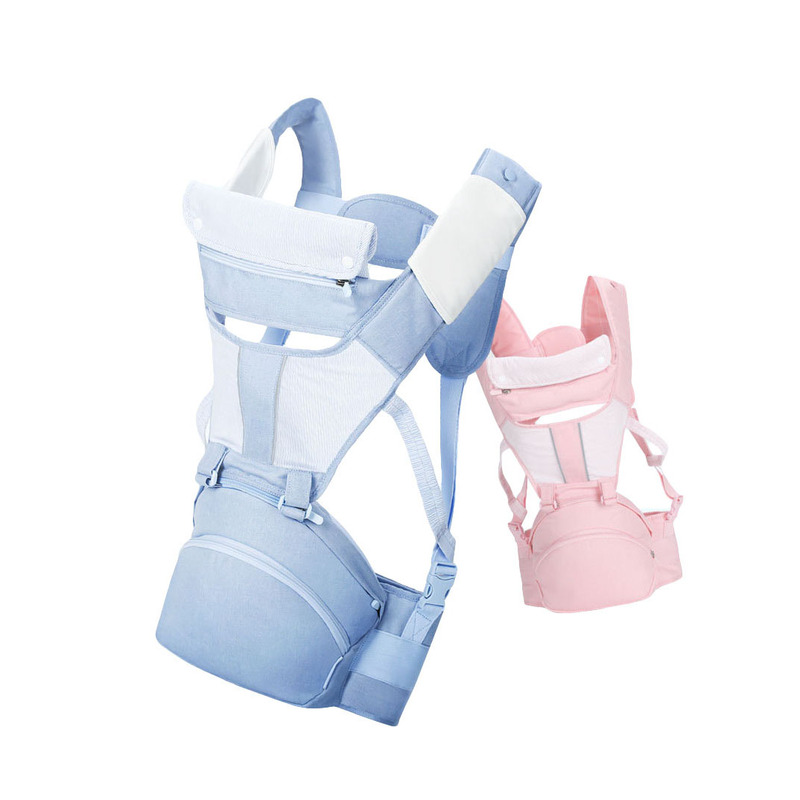 It also prevents the baby from getting X/O type of legs and reduces the weight and pressure on the parents. 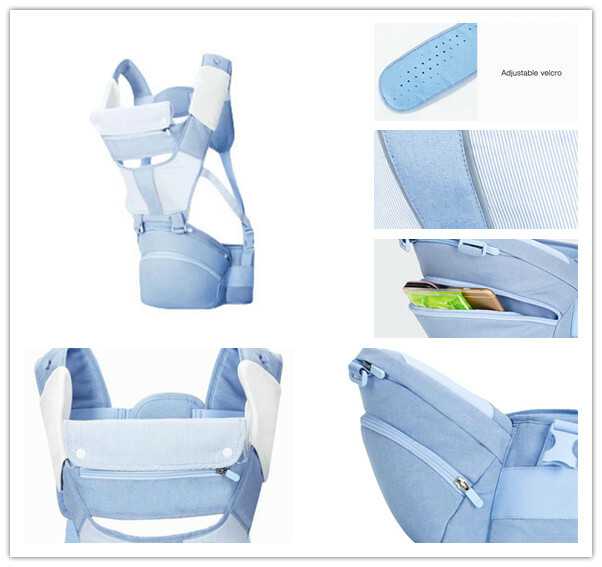 The fabrics used in Xiaomi Xiaoyang Baby Carrier are of high quality. It maintains proper angle while carrying babies. The carrier part of this product has an angle of 35 degrees which can be pressed to 25-30 degrees when the baby is sitting on it. This angle is good for the child’s spine. The mija baby carrier is 16.5 cm wide and has a length of 26 cm. This is good for the bones development of the baby and prevents the baby from getting X/O kind of legs. The fabric used in the Xiaomi Baby Hip Seat does not contain any sort of aromatic amines, formaldehyde or any sort of harmful substances which can be unsafe for the child’s skin. There is a barrier tail area provided of 3 cm height which increases the force area and the effective decomposition of abdominal force, thereby reducing the pressure on the parents. The pressure is also reduced by the triangular force provided by the shoulder strap. There is an anti-off bridge belt provided in Xiaomi Xiaoyang Hip Seat which fixes the shoulder strap position and aids in the formation of back tension which can decompose back force. This 20 cm wide bridge belt makes you feel comfortable. The 14 cm wide waist belt can be adjusted to a circumference of range 60-120 cm as per the body size of the parents. In addition to above features, the hip seat comes with 3 removable saliva towels, adjustable velcro, hidden wind hood, storage back in the front area and a reflective warning strip. It is suitable for babies from 3-36 months old. 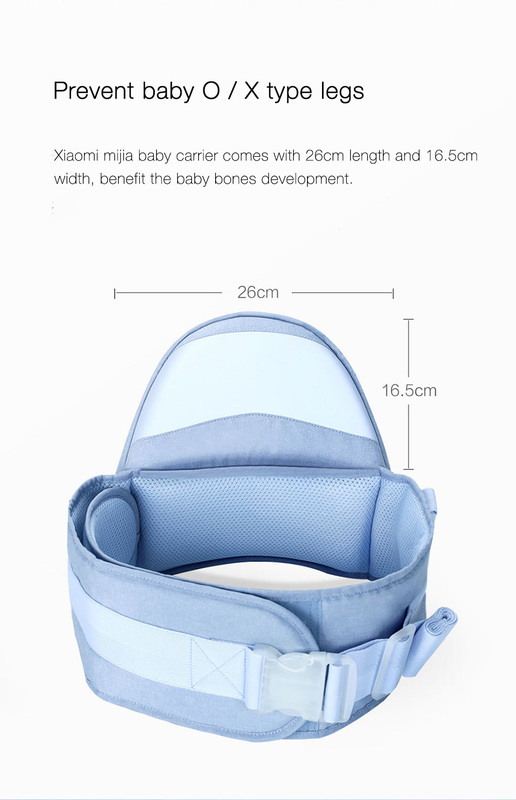 Provide your baby with extra comfort by using this wonderful hip seat from Xiaomi. 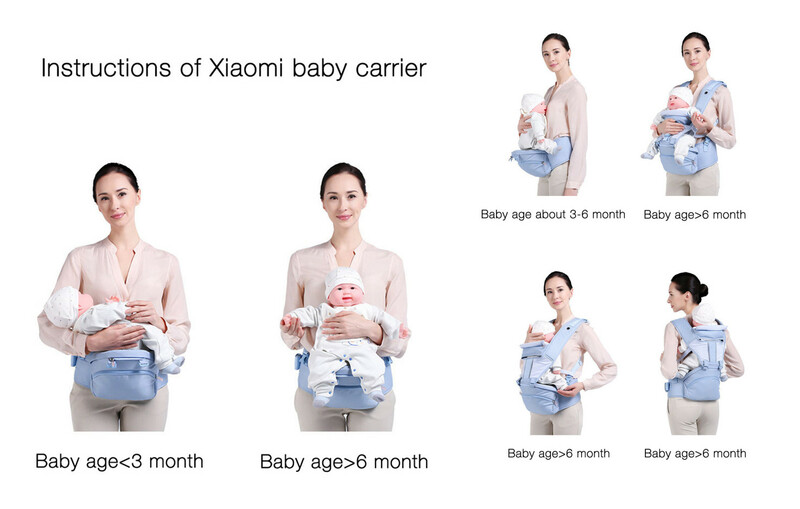 So get this multi-function Xiaomi Xiaoyang baby carrier at an amazing discounted price with several payment and shipping options from Amazon. You and your baby will surely love it! ← Banggood Black Friday is Coming! Hello! I am Carmen. I am a mother of baby girl. She is so cute and I love her very much. I enjoy playing with her and buying beautiful clothes to make her more adorable. In this blog, I will share some tips about parenting with you. And I hope it can help you take care of your baby. Copyright © 2019 Smart BabyTree. All rights reserved.